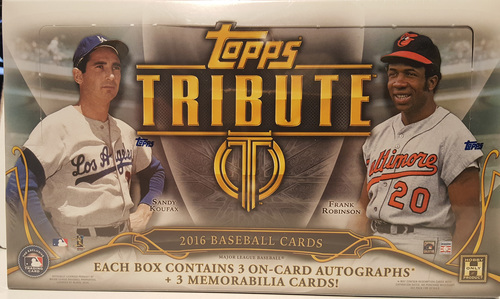 Every box contains three (3) autographed cards, three (3) relic cards and one (1) base parallel card. Each box contains six (6) total packs. 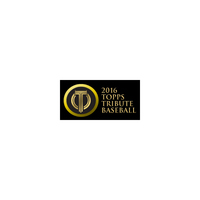 Topps Tribute returns in 2016 with modified technology fitting of the all-time greats of Major League Baseball. When paired with new card components and striking new look, 2016 Topps Tribute Baseball will deliver the utmost in collectability.